Revised and rerecorded version of cult Car Seat Headrest album delivers on promise offered by 2011 edition. 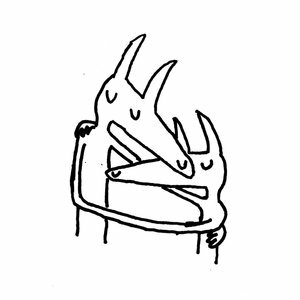 With this new iteration of Twin Fantasy, it's tempting to say Will Toledo has come full circle, at least in a narrative sense. That's not to say this is some grand finale record. Rather, you look at it as the final installment of a trilogy that began with 2015's Teens of Style and continued with the following year's Teens of Denial. The former saw the prolific songwriter break from the pattern of self-releasing Car Seat Headrest albums on Bandcamp by arranging a grab bag of favored songs for a compilation-style debut on Matador. The latter was Toledo's first true record of original material for the indie label. It's fitting then that, for his third Matador release, Toledo revisited the most widely beloved of his Bandcamp records. As a result, there's a catharsis that comes with returning to the past, acknowledging its pleasures and pains, then making one's peace with it and definitively laying it to rest. A 19-year-old Toledo released his initial version of Twin Fantasy in November 2011. As with the previous five albums, it was a self-recorded, lo-fi affair. A charming sketch of a document, it focused on the vicissitudes of youth, self-discovery and formation, self-destructive indiscretions, alternating trauma and joy, and the fleeting relationships that accompany it all. Its songs were infused with that roughshod urgency of one's transition from late teens to early adulthood and imbued with an obvious authenticity. At the same time, this double-edged sword also made it feel like a collection of promising demos more than completed work, its raw intensity hampered by a lack of refinement as if Toledo fought to express more than he could. Toledo, as stated in a press release, acknowledged as much, saying the album wasn't finished to his satisfaction. Rerecorded with a full band and some editing, it has achieved its full potential. Whereas the 2011 version was like glimpsing an artist through a keyhole, this updated version sees the doors flung open and the honed craft exposed to a larger world. It's almost a disservice to address the ten songs individually, so unified is the work. The rules of song structure are thrown out early, the tunes ranging from under two minutes to more than 16. It has the cobbled feel of a jigsaw puzzle, its disparate segments only locking into place to reveal the whole picture on repeated listens. Lyrics and musical motifs recur and echo throughout as if the piece were an extended poem. "The ocean washed over your grave / The ocean washed open your grave", Toledo sings in the outros of both "Beach Life-In-Death" and "Famous Prophets (Stars)", the two songs that thematically bookend the record. Then there is the device of calling back an earlier lyric, slightly altering it, and thereby changing its meaning. For instance, in the third track, Toledo sings "Stop smoking / We love you / And we don't want you to die" but shifts it to "Keep smoking / We still love you / But I don't want to die" toward the tail end, changing an initially consoling sentiment into a more fatalistic one. This ambition alone raises the album above the average record of one Toledo's age. Yeah, Twin Fantasy is ostensibly a breakup record, but it tempers its dour impulses as youthful vivacity cuts through even the darkest of sentiments. As such, it avoids sliding into juvenilia or sounding like a mopey, self-absorbed pity party of the emo vein. Rather than coming across like a dejected teen scribbling in a notebook, Toledo's narration frequently addresses the listener, channeling an us-against-the-world solidarity that doesn't relent in times of struggle or triumph. "Don't worry / You and me won't be alone no more," he chants in a deadpan yet reassuring tone in the fadeout of "Sober to Death", a song in which he earlier proclaims to another, "Don't think it'll always be this way." Also, Toledo often presents vignettes that wonderfully leave the listener to discern impressionistic emotions, rather than being bluntly told what the singer feels. It's a level of maturity and worldly awareness that belies his age, Toledo's lyrical precociousness amounting to something of an indie rock Rimbaud. While "Beach Life-In-Death" and "Famous Prophets (Stars)" are the second and ninth songs, they are the pillars supporting the rest of the album (and cumulatively account for nearly a half-hour of the total runtime). Following the brief, simmering intro of opening track "My Boy (Twin Fantasy)", "Beach Life-In-Death" distills the myriad issues that will come up across the record in a swirling, three-part collage. Chugging from the outset in a way that mimics Toledo's recalling of driving past stop signs and wanting to face down a train, it continually picks up steam until you're eager for the final impetus needed to push it into overdrive. Toledo toys with this for several minutes, painting pictures of mundane daily routines, before the tune finally detonates, Toledo's voice switching from a dry intonation to a frenetic yelp. He sings in a feverish abandon as though his scattershot lyrics can't be bridled within him any longer. After surging in a maelstrom of percussion and guitar frenzy, it suddenly drops back and fades into a soothing, mantra-like confliction of "We said we hated humans / We wanted to be humans". In the song's third section, the turmoil returns and sends things careening off the track and leaving the listener with a whetted appetite for what's to come. The attenuated acoustic number "Stop Smoking (We Love You)" is self-explanatory and neatly leads into a similar intimacy with "Sober to Death". Its repetitive melodic strum imparts a winsomeness complementing Toledo's wounded voice. After some organ notes bubble up and the drums come in, it segues into a raucous, anthemic number that manages to remain warm and comforting in its assertion of camaraderie in the mire. From there, the record's most energized moment takes flight in "Nervous Young Inhumans", a scorcher led by charging drums, piercing synths, and fiery fretwork. The immediacy elicits feelings of driving out of town at a high rate of speed; the rearview mirror snapped off to avoid even the temptation to look back. Compared to the original version, it showcases how far Toledo's recording skills have developed since 2011. That it wraps on an extended, stream-of-consciousness spoken-word bit on sundry topics like morality, responsibility, and wasting time doesn't come across as jarring, but as an apt dramatic highpoint. The song's vitality is contrasted with "High to Death", a zeroing in moment and accompaniment for a dark night of the soul. A sparse, haunting melody dominates, Toledo giving a harrowing account of alcoholism, specifically that of being lost in stupor, having the spins and the accompanying self-loathing and regret. There is no sense of a celebratory night gone awry by too much imbibing, but of one who mournfully drank solo to alleviate a deep-seated torment. Gone is the resolve found earlier of knowing all states, however dark, are temporary; it's been eroded by the conviction you have in the grips of a depressive fit that it'll last forever. It thusly doubles as the album's most uncomfortable and most compelling number. As already stated, the penultimate "Famous Prophets (Stars)" serves as the record's true climax, harkening back to the themes addressed in its sister track "Beach Life-In-Death". Sounding as though he's attained a degree of insight and resolve, it's certainly no coincidence Toledo repeats "We gotta go back" at length, again addressing the work's cyclical nature. As the recurrent line of oceans washing over and opening a grave drifts back in like a wandering star in the night sky, the tune builds to a six-minute crescendo, recorded dialogue and Toledo's primal yowling. Then, serving as a final denouement is the closing title track, led by a church organ giving the sensation of stepping outside to greet the dawn after the bleakest of nights. There will undoubtedly be those who prefer the roughness and determined amateurism of Twin Fantasy's original form. But freed from sentimentalism or nostalgia, this tweaked version is simply superior in every way. Though it probably wasn't intended as such, there's even a little prescient meta moment in the opening line to "Famous Prophets (Stars)" — "Apologies to future mes and yous." Of course, Toledo is offering no real apologies for giving this work the new approach it deserves. Twin Fantasy is revisionist in a way that negates the negative connotations associated with the word, fulfilling what had been a mere promise.